This is something rather different for Question Evolution Day but it is about a subject that I think is largely neglected. As we have seen many times, atheism is irrational and unable to deal cogently with the conditions of human experience. Foundational to atheism are materialism and evolution. To be consistent with evolutionary thinking, "survival of the fittest" would, according to materialistic presuppositions, entail leaving anyone less than perfect behind — or even eliminating them. The Nazis referred to Jews and other "subhumans" as "useless eaters" who consume food and resources but did not contribute to society. The same could be said for people with handicaps, but there are still people with a Christian worldview that will not let the handicapped be subjugated or exterminated. The "science" of eugenics (which justifies abortion) was popular in the United States in the early 20th century. This had people forcibly sterilized because others decided that they were unfit to breed. If the concept continued, it would have led to the elimination of many people. (When Nazi Germany took eugenics to its logical conclusion, it fell out of favor, but is gaining popularity again.) Eugenics is one form of social Darwinism. Biblical creationists believe that humans are created in God's image and have intrinsic value, so it is ironic when handicapped anti-creationists attack those of us who oppose the worldview that would (if its adherents were consistent) have them put away. Pastor Corwin was visiting The Question Evolution Project and mentioned that he had written this book which was published in 2016. The ebook was affordable on my budget, so I bought a copy. 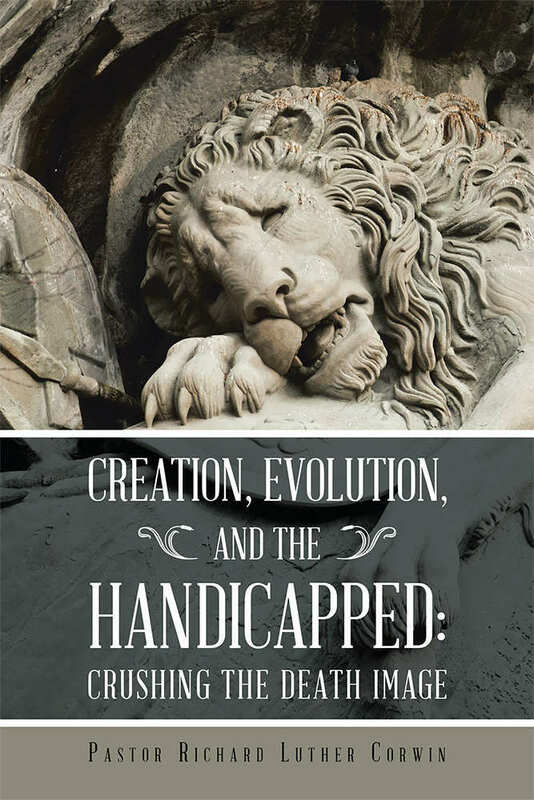 The full title is Creation, Evolution, and the Handicapped: Crushing the Death Image. I was expecting a social consciousness diatribe that would browbeat Christians into feeling sorry for those with handicaps, but I was very mistaken. I will tell you straightaway that I learned some things that would be useful for any biblical creationist. The word handicapped has many definitions. There were two times in my life when I had injuries or conditions where I had a special handicapped parking permit. One of these was a "hidden handicap", so people probably wondered why a guy that wasn't limping or using a wheelchair was getting a special parking place. For that matter, I was informed that my medical records had a condition listed for me of which I was unaware! Then there are the more obvious physical handicaps. I will defend the following proposition: that Evolution is not a logical theory, it is self-contradictory, self-fulfilling, dogmatic, and simply “scientism” cloaked in the guise of a first century religion. I will show the evolutionary hypothesis is detrimental to operational science and that only the Biblical worldview sustains the preconditions for intelligibility sufficient to sustain empirical science. Finally, I will show that if evolutionary dogma is followed to its logical conclusion, it promotes a climate of death, a devaluing of life, and is directly detrimental to the disabled and handicapped. As biblical creationists have pointed out for a mighty long time, evolution was not invented by Darwin. It is actually an ancient religious and philosophical concept that he modified, slapped his version of natural selection on it, and presented it as science. Atheists and religious compromisers went ape over it. Richard Corwin explains some of the philosophical and ancient religious underpinnings of evolution and scientism. Pastor Corwin contrasts the evolutionary worldview with the biblical worldview. Bible-believing scientists of the past set up the foundations for modern science, essentially "thinking God's thoughts after him". Our worldview is based on the ultimate truth and leads to great progress when the Bible is given preeminence. Richard also demonstrates that the Bible contains real history which is supported by archaeology. Modern science has devolved, emphasizing materialism and leftist political trends over truth. The third chapter should prove interesting to fans of C.S. Lewis. Despite the claims of theistic evolutionists, Lewis was no fan of Darwin. C. S. Lewis understood that not only the Biblical worldview, but also the foundations of modern empirical science would make no sense without the rational construct provided by the Word of God. When one dismisses the Biblical worldview, the concept of the “Uniformity of Nature” becomes irrational. Lewis knew that the uniformity of nature cannot be found in naturalism, but only through biblical foundations. What follows is a chapter that will make you work your cognitive skills. Corwin postulates that the first evolutionist was Satan. Using Scripture and history, he shows us that Satan gave a huge emphasis to Gnosticism (which has taken many forms over the years) to distort the truth. The Gnostic Gospel of evolution is as old as Genesis 3 and as new as the New Age religions of the twenty first century. The new Gnosticism includes the “idea that human beings can together form a global Brotherhood of Man and create heaven right here on earth.” Evolutionary Gnosticism is not a pastime but a system of dogmas that postulate that mankind will be able to save itself through enlightenment. The evolutionist would dismiss any Christian eschatology, but firmly defend the doctrine as applied by evolutionary metaphysics. If you study on it a spell, you can see that evolutionary thinking is Gnosticism, as evolution is supposedly the esoteric path to truth. Evolution's true doctrine is absolute materialism and has its own religious tenets, and these claims are explained in the book. The consequences of the evolutionary worldview are shown in Nazi Germany (as well as in Socialism and Communism), as this philosophy is not only dependent on, but also leads to, nihilism and death. Later on, we learn how the biblical worldview crushes Satan's death image of evolution. 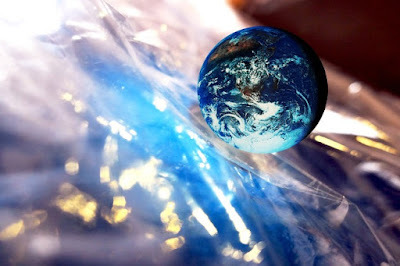 We are created in God's image, but live in a fallen world. Atheists and evolutionists can't handle the truth. Darwin's disciples promote death as a creative animistic or pantheistic force which leads ultimately to no purpose in life — and ultimately to more death. God has the ultimate victory and gives life to his people. There is a great deal to learn in this book, especially for Bible-believing Christians as well as seekers of truth. There are some practical aspects and encouragement for those who know or live with those who are handicapped. 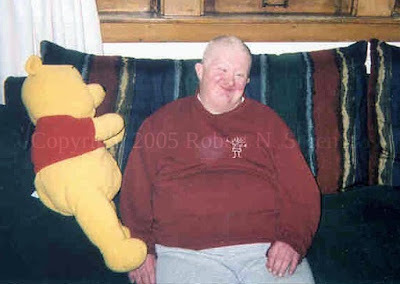 Elsewhere, I wrote about Jack, my oldest brother. He was born "severely retarded" with Down Syndrome. Despite the claims and predictions of medical science, he lived far longer than was expected. His handicap was obvious. He spent most of his time in state institutions because of his needs, and only came home on short visits. As the youngest of three boys by a ten-year margin, I was lousy at dealing with by oldest brother's handicap all those decades ago. Many of us "normal" folks need educating in how to deal with and treat those with handicaps; we can accidentally be insulting to them. Individuals with handicaps suffer from guilt as they see their family suffer. The family suffers from guilt as they are forced to stand by helplessly as their loved one suffers. The Church suffers from guilt because they do not know what to say or do. There are also lessons to people who have handicaps, and how they can have fulfilling lives in Christ. I have seen some who not only feel sorry for themselves, but use their conditions as a means to bitterly manipulate others and spread suffering. Instead, submission to Jesus and the authority of the Word of God is the way for anyone to have fulfillment in their lives. There is quite a bit of material so I must curtail my review because it might become cumbersome. I hope I provided enough to spark your interest. While I strongly recommend Creation, Evolution, and the Handicapped: Crushing the Death Image, there are some things that bothered me a bit. First, I do not know Pastor Corwin's theology, but there was nothing amiss that I found in this book. Second, he used the King James Version exclusively as far as I could tell, which may hinder some readers. At least he did not use The Message or some other bad translation! Third, I was not thrilled with the formatting. Richard underlined instead of italicized, which falls into the category of "get used to it"; I simply did not prefer this method. Also, I would have liked to see an emphasis on repentance. The concept is there, but I would have liked to see it used more directly. I have a Kindle version, and the pagination works as expected. Swipe up, you go to the next chapter. Tap on the chapter title, and you are sent to the table of contents. When you tap on a chapter title, you go directly to it. Richard backed up his claims with a few hundred endnotes, and they were at the end of the book (which is something I prefer). He also had a "Select Bibliography" of many books. Obviously, he put quite a bit of work into writing this book! On a side trail, my mind kept going back to a fiction book that I reviewed earlier, Taking Up Space by Steven J. Wright, which deals with similar subjects. 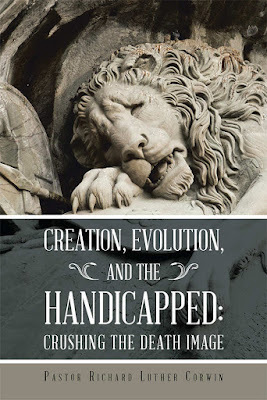 Mayhaps you'd like to read Creation, Evolution, and the Handicapped as well as Taking Up Space so you can see what the two have in common. What follows is the beginning of a 2015 video by Dr. Georgia Purdom. It is extremely interesting and the points made are relevant to this discussion. It can be found in its entirety at "Eugenics, Abortion, and Genetics" for free viewing or for purchase.